Lavrov in particular stressed that there are no UN Security Council bans on exports of Iranian oil and gas. “Tehran has been selling hydrocarbons to states that are not afraid of unlawful Western restrictions and to those who has been able to reach an ‘amicable agreement’ with Washington,” he added. 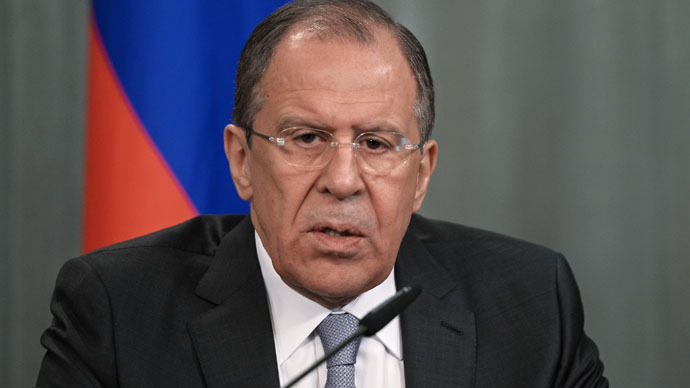 Moscow is confident that Iran’s influence in the regional affairs would help stabilize the nearby volatile regions, Lavrov noted. “Tehran’s fully-fledged participation in regional affairs will serve the tasks of ensuring security in the Gulf and neighboring regions. “Stabilization in the vast region of the Middle East and North Africa will bring countries of that region back to normal life, will remove obstacles on the path of resuming full-scale foreign economic exchanges, which is in the interests of expanding our mutually-beneficial trade-and-economic cooperation with them and bigger presence of Russian companies on those promising markets,” he explained. He stressed that Russia has been putting a great deal of diplomatic effort into ironing out the political framework agreement for the nuclear deal with Iran in Lausanne, Switzerland. Iran and the P5+1 powers (China, France, Russia, UK, US and Germany) have agreed on a preliminary deal in the Swiss city of Lausanne earlier in April. Under the framework, Iran will not pursue new enrichment facilities, or heavy water reactors, for 15 years. It will also downsize its stockpile of enriched uranium and follow enhanced transparency procedures. Meanwhile, the US and the EU pledged to begin lifting all the nuclear-related sanctions against Iran. Another round of talks is scheduled to begin on April 24. It aims to turn the framework agreement into a final deal. One of the key issues on the table will be the timetable for the lifting of sanctions. A final agreement must be reached by June 30, 2015.